The truth of those words has been proven abundantly through his legacy. Dustin was killed in a home invasion over Christmas Break of his sophomore year. Amidst pain, his family and friends honored his dreams to serve others through the establishment of Dustin’s Dream, an organization that partners to build medical clinics in Third-World countries, funds mission trips and provides scholarships to deserving students. 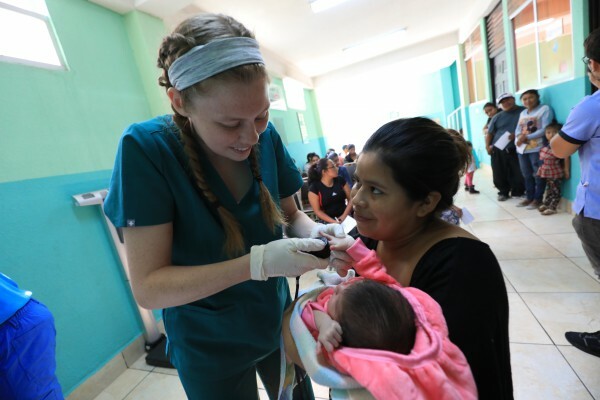 In 2014, Dustin’s Dream helped build Corazon De Amor medical clinic in Guatemala City and this spring, a Baylor mission trip traveled to serve there for the first time. Dustin’s mother, Deondra Chamberlain, shares more in this post to parents. December 15, 2011, is a date forever etched in our minds. Our son Dustin, a sophomore Biology major at Baylor, had just returned home for Christmas Break when he was shot and killed by an intruder in our home. Our world was instantly changed as we struggled to understand. In the night or two before his death, Dustin had shared some of his dreams and goals, one of which included participating in a short-term medical mission team with a medical organization he was in at Baylor. Dustin loved God, loved people, and was studying to become a doctor. Pictured above: Dustin Chamberlain as a Baylor student. 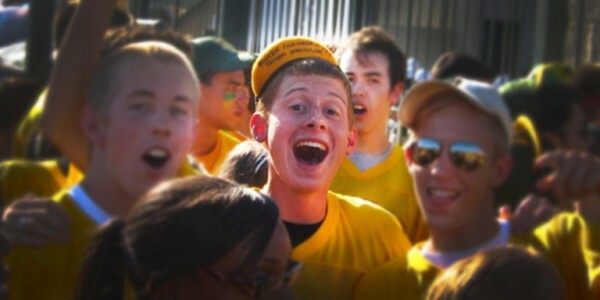 Click here to read Dustin’s story in Baylor Proud. During the aftermath of this tragedy, our family (my husband, Don, and our then 15-year-old daughter Danae), began two years of counseling. It was during this time that we formed a non-profit organization called the Dustin Chamberlain Memorial Foundation, also known as Dustin's Dream. We wanted to focus on providing scholarships for students studying for a career in the healthcare field, and we began the construction of a medical clinic—Corazon De Amor Clinic. Early in 2018, the third floor of the clinic was completed and now provides healthcare to over 10,000 individuals living in and around one of the world’s largest garbage dumps in Guatemala City. The clinic provides general medical care, physical therapy, children's therapy, education for young mothers with babies, dental and laboratory services and more. A computer lab has been added on the third floor as an educational resource for the community. Our daughter, Danae, recently graduated from Baylor as a Medical Humanities major and attended her second trip to Guatemala June 2018. She, too, has a passion for the work that is being done in Guatemala. It is so surreal for us to see the way God has fashioned beautiful things out of the dust tragedy left in its place. What an impact this ministry has had on our family, and our prayer is that lives will continue to be impacted through this partnership. Thank you, Baylor Missions, for coming alongside Dustin's Dream as we work toward this common goal of glorifying His name through the enriching experience of being the hands and feet of Christ. We can do far more things together than we could ever do alone.